Many patients with heart failure may be missing out on a promising new treatment, and often for the simple reason that physicians are not proactive about initiating the therapy while the patient is still in the hospital. Patients who suffer heart failure and have a reduced ejection fraction of 35% or less can benefit from therapies that lower the patient’s heart rate, such as beta blockers. Some patients, however, continue to have a fast heart rate (more than 70 beats per minute) despite beta blocker therapy. In those patients, the American Heart Association and the American College of Cardiology suggest adding the relatively new drug ivabradine (Corlanor), because it can lower the heart rate using a different method of action than beta blockers. Yet, new research suggests heart failure patients are using ivabradine at low rates, particularly if their physician did not initiate the therapy while the patient was still in the hospital. 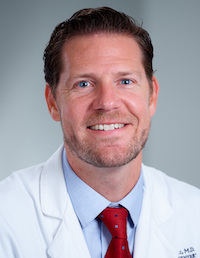 Robert Mentz, MD, the study’s lead author and an associate professor of cardiology at Duke University Medical Center, said the period of hospitalization for patients with heart failure is marked by complicated tests and decisions. As a result, many physicians under-prescribe even well-established medications. “During a busy hospital stay with many medication adjustments, we see that many clinicians are not taking the necessary steps to start the right therapies or increase the medications to the optimal dose in the hospital but rather delay these considerations to the outpatient setting,” he told MD Magazine®. The new study, titled PRIME-HF, tracked 104 patients who sought treatment for heart failure at 1 of 23 hospitals and who were considered appropriate candidates for ivabradine. Mentz and colleagues evaluated rates of ivabradine use at 6 months, comparing the usage rates of patients whose therapy began while still an inpatient to those whose prescription was deferred to after the patient was discharged. Among those whose ivabradine therapy began in the hospital, the continued usage rate at 6 months was 40.4%. But among patients who weren’t given a prescription in the hospital, only 11.5% were taking the drug at 6 months. The study also showed the ivabradine makes a difference for patients who take it. Patients who started ivabradine in the hospital had higher reductions in their heart rates, had no reduction in the use of beta blockers, and did not experience abnormally low heart rates or blood pressure. As with many newer drugs, another complicating factor for patients prescribed ivabradine is access. Nearly one-third of patients (30.6%) said they had trouble getting their initial prescription, and nearly twice that number (58.1%) said they had difficulty accessing the drug at some point during the trial. Mentz said in addition to access issues, a lack of physician education also limits wider deployment of drugs like ivabradine. The findings were presented at the American Heart Association's Quality of Care and Outcomes Research Scientific Sessions 2019. The study was initiated but Mentz and colleagues, and was funded by Amgen, which manufactures ivabradine.